I wanted a Christmas nail art to accompany my It's a Red Christmas Nail Art Competition post and something I can use for the poster. So I decided to do something simple and cute. I also wanted it to express the theme of the contest. 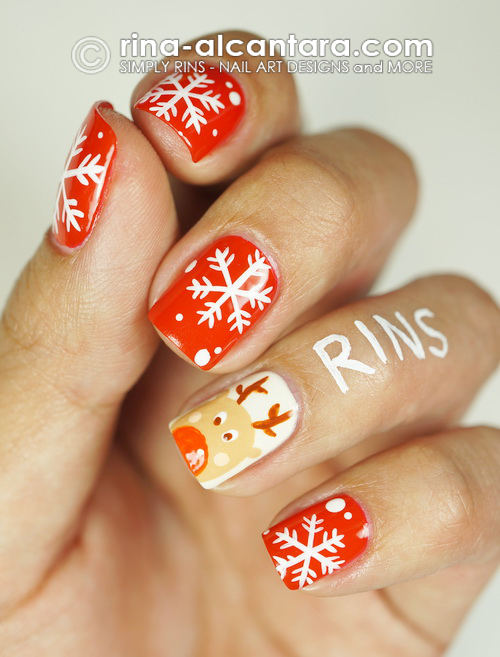 The design might be familiar to you already because I just combined 2 of my previous Christmas nail art. 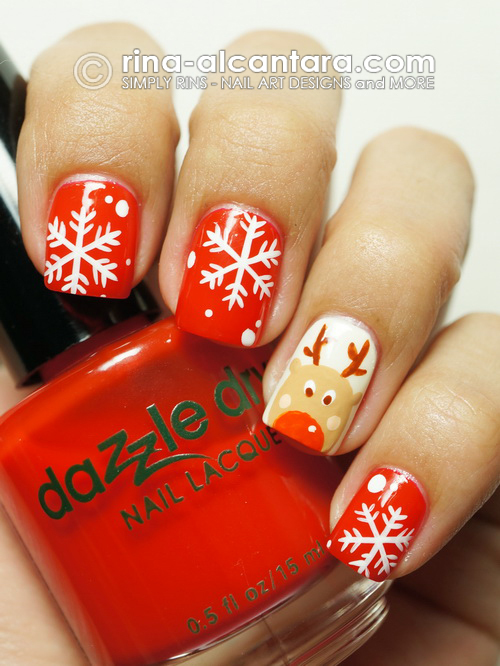 I painted Rudolph, the red-nosed reindeer, as accent nail and painted snowflakes on the rest of the nails. I painted Rudolph the way I painted my reindeers here and the snowflakes, as how I painted them here. I wanted a bright red color for this design and I chose to wear 3 coats of Dazzle Dry Electrifying as base for the snowflakes. For the accent nail, I used 3 coats of Dazzle Linen Lace. I thought a subtle white color would be perfect. I have reviewed these colors here and here. For now, I hope Rudolph can inspire you to take on the challenge and come celebrate with me my 3rd blogoversary by joining.